Set on the stunning Varadero beach, Club Tropical is the perfect place for a low-price all-inclusive beach holiday, while ideally situated for exploring Varadero. Even the most ardent beach lovers describe the Varadero beach as among the best they have ever seen; & it is literally a few short steps from Club Tropical. The hotel underwent substantial renovation in 2013, expected to last the whole year. However, Club Tropical remained open throughout & continued to provide first class service & facilities for guests. 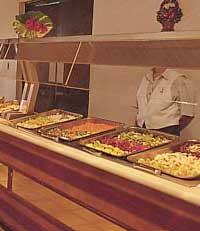 Club Tropical hotel is only a small, basic all-inclusive resort in terms of facilities but its 2 bars, restaurant & snack bar provide outstanding food & drinks more in keeping with 5-star accommodation & well above the average standard for Cuba. 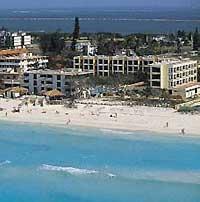 And if you want more choice then you can walk straight out of the hotel to the Varadero strip, with its dozens of inexpensive shops, bars & restaurants. Club Tropical surpasses itself in terms of its activities, given the relatively small size of the resort (under 200 rooms). 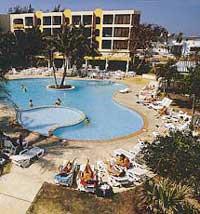 It has a lovely pool, with separate children’s paddling area, surrounded by palm trees & immaculately kept grounds. Guests can also use the on-site gym or enjoy a massage, while there are aerobics & aqua aerobics around the pool as part of the daily entertainment programme. Watersports at the beach include windsurfing, catamarans & pedal boats. The staff at Tropical hotel are very friendly & helpful, with a real can-do attitude that had guests returning to this hotel even at the height of its renovation. Located just a mile from Varadero town centre, on a beautiful beach & with memorably friendly staff, Club Tropical provides a great all-inclusive option at a competitive price. 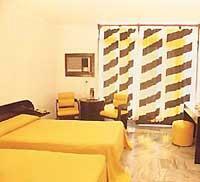 All rooms are decorated in modern, simple Cuban style & are kept very clean by dedicated maids. The rooms are all ensuite with either a bath or shower & balcony or a terrace, with many rooms providing great sea views.